Although the Deng are listed among official statistics for Tibet, they were not counted as part of any nationality in the census. A government publication states, "The Tibetans live alongside the Deng Ren, who have not been identified as a separate ethnic group." The Deng have made strong demands to be recognized as a separate nationality, but their applications have so far been rejected. They have even "threatened secession from China if they were not officially recognized as a nationality. ... The Tibetan authorities strongly oppose such a move, arguing that it would split the Tibetan nationality." Little is known of the Deng people and their origins. It is interesting that the Jingpo minority - who now live in western China and northern Myanmar - claim to have originated in Tibet. 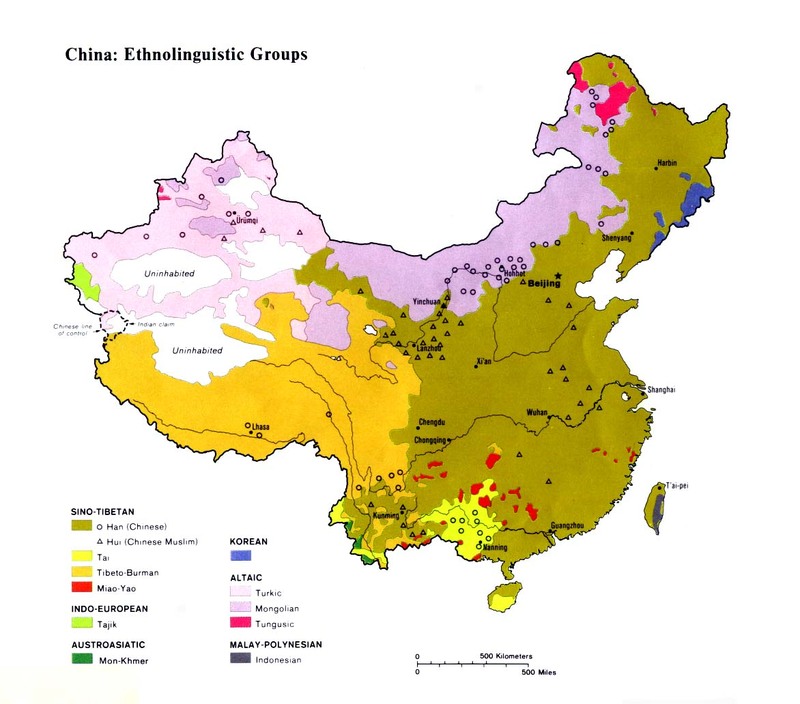 Considering the similarities between the two languages, it could be speculated that the Jingpo are descended from the Deng. The Deng, who always go barefoot, have their own set of distinctive customs. "It is a common custom for them to swap a few head of cattle and several chickens for a woman as wife. Their dead are cremated, the corpse being burned together with the house he formerly owned." The Deng are polytheists. They have been described as a "ghost and deity fearing people." 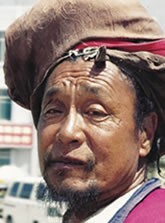 For centuries the Deng have rejected pressure from the Tibetans to convert to Buddhism, although many Deng do outwardly observe Buddhist rituals. Until recently there had never been any known Christians among the Deng in Tibet. When a foreign believer traveled to the Deng, "he and the other foreign tourists helped lead [their Deng tour guide] to Jesus. When he came back a couple of years later he was able to help lead her nuclear family to Jesus." The nearest community of believers is the evangelistic Rawang church in northern Myanmar. The Rawang have sent workers into southern Tibet in recent years, but it is not known if these servants of Christ have traveled as far as the Deng region yet. View Deng, Darang in all countries. 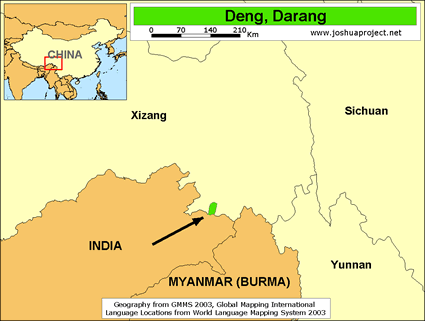 Location in Country: Six thousand speakers of the Darang Deng language in China were reported in 1987. The Darang Deng live along the valley of the Dulai River in Zayu (also known as Chayu) County in the southeastern corner of Tibet. The Geman Deng, who speak a different language, live on the tablelands on both sides of the lower reaches of the Zayu River farther to the east of the Darang. Zayu County is off-limits to foreigners. The Deng language is also spoken by people in Assam, India, and the northernmost tip of Myanmar.